At the launch of her new book Hacker, Hoaxer, Whistleblower, Spy, Gabriella Coleman was joined by Astra Taylor and Molly Crabapple to disintangle the maze-like nature of Annonymous, the hacker collective which Coleman has spent half a dozen years submerged in. Coleman traces the political and a-political actions of the annonymous collective, and unravels their constant evolution; their use of hacking for everything from the ethically suspect lulz, to revealing outrageous cases of corporate spying, and successfully shaming multi-nationals into improving their digital privacy standards. 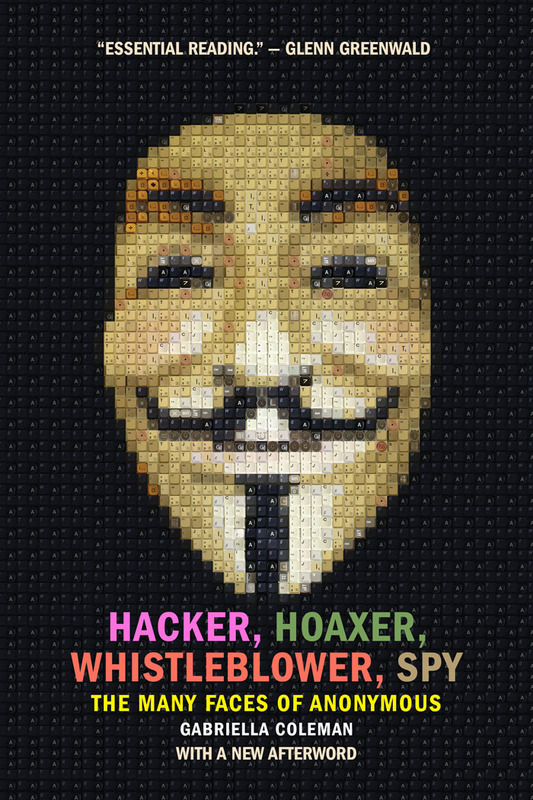 For more on the anarchic imaginations behind Anonymous, click here to purchase Gabriella Coleman's book Hacker, Hoaxer, Whistleblower, Spy. On Decemer 11, at 6:30pm, the author will be speaking a free happy hour held in Washington D.C. at the ASU Washington Center. For more information on that event click here.